Is Spotify On Track For $1Bn In Revenue? LONDON (Hypebot) — We recently learned how Spotify is going to release a new version of its music service in the next few months with enhanced social, discovery, and collection features; saw Lars Ulrich finally agree to put Metallica’s music on the internet for free; saw some screenshots of the next version; and took in some interesting stats about how many people and dollars are flowing in and out of Spotify. Putting on our thinking cap, as regards those new usage and revenue numbers, we’re pretty sure Spotify is approaching a billion dollars in revenue per year. That’s a thousand millions, for the numerically challenged. 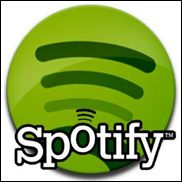 1) 80 percent of Spotify subscribers opt for the premium version. We think that’s a safe assumption, because carrying music around constitutes much of the value proposition of subscribing — and from what we hear, the number is actually north of 90 percent, so our numbers are probably on the low side. But to be safe, let’s say that 80 percent of Spotify subscribers pay for mobile. 2) Spotify makes 5 percent as much advertising to its 15 million non-paying frequent users as it does from cash from its five million paying customers. According to Pandora’s recently-released financials, we estimate it makes $5 per year from non-paying users, so that seems like a good number to use for Spotify too. (Pandora has had more time to figure out how to sell ads, but Spotify’s can’t be muted with a computer control — we figure that evens out). If Spotify were to stop growing today and go into a sort of usage freeze for the next year, these calculations indicate that it would make $621 million in 2013. The thing is, in the past year, Spotify doubled its number of paying customers. If it were to continue at that rate, it would make over $1.2 billion in revenue. If its growth rate tails off a bit (a likely scenario, considering that the world only has one United States, which is the world’s biggest music market, and Spotify already launched there), a billion in revenue seems reasonable — especially as it gets better at selling advertising and this new version attracts more new users to start, and more freeloaders to pay. Spotify says it pays out 70 percent of its revenue to artists, which would mean something like $700 million flowing to music makers and rightsholders, if Spotify indeed pulls in a billion in annual revenue. And as mentioned above, that 80 percent figure we invented as paying $10/month for mobile is actually closer to 90 percent, which makes sense. How could someone see the value in paying $5/month to stop ads and increase audio quality on the desktop, and not see the value of paying another five bucks for the mobile version? In light of that, our calculations appear even more reasonable. A billion in revenue for Spotify next year is entirely possible, and somewhere around 70 percent of that would presumably go to copyright holders, based in part on how much staying power their music has. So, why are so many recording artists complaining about Spotify’s meager payouts? A source close to the situation echoed what Merlin’s Charles Caldas told us: That labels are sitting on artist payouts from Spotify, sometimes for as long as a year. That means the numbers some artists are complaining about are from when Spotify had around half as many paying customers as it does now. Plus, if the labels are engaged in any dodgy accounting practices, as artists have alleged they are since seemingly the beginning of time, then the picture becomes clearer of why artists might feel shortchanged.